After a Czech cyber watchdog identified Chinese tech giant Huawei as a security threat, the company is threatening to take it to court and initiate international arbitration for damaging the firm’s reputation. Huawei requested a response to the letter by Feb. 14, threatening that if the warning is not “canceled” or “modified” by then, Huawei intends to file a lawsuit on February 17, a NÚKIB spokesman said. In the letter, Huawei also denied the existence of backdoors in its products, which international governments had expressed concerns could be exploited by Beijing to conduct espionage. “The warning is therefore not based on fact and the above legal conditions for its issuance have not been met,” Huawei said in the letter. 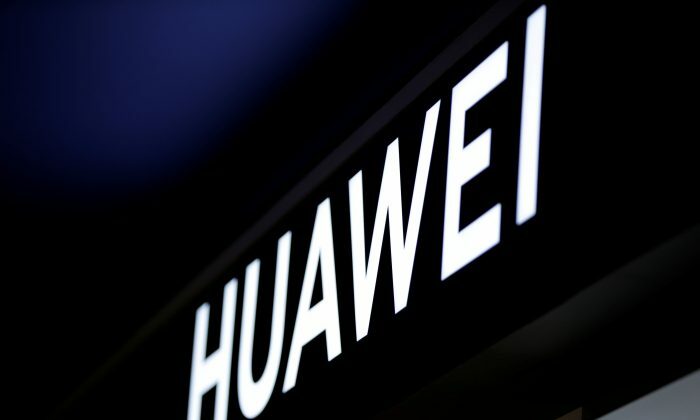 Experts such as the head of the non-governmental Czech Institute of Information Security Managers Aleš Špidla has previously warned of Huawei’s potential threats due to the Chinese regime’s laws that mandate Chinese firms give up data and “intelligence information” to authorities if requested. Some Czech state agencies have begun to exclude products and services by Huawei and ZTE since NÚKIB issued its warning, wrote the Czech daily Právo. The fact that the United States is taking a hard stance against Huawei “has played no role” in the NÚKIB’s decision to issue its warning, according to the agency’s director Dušan Navrátil. “We’ve even found that the United States was actually very surprised with our warning,” Navrátil said in a Feb. 7 interview with DeníkN. “The basic thing is that in China’s political-legal environment, private companies are subordinate to China’s interests, intelligence interests, and the interests of the Chinese Communist Party—not to the interests of its customers,” Navrátil said in another Feb. 7 interview, for Právo. The Czech government said the NÚKIB office would make an appropriate response to Huawei’s letter, during a Feb. 8 press conference. “The NÚKIB is independent … We will certainly not pressure an independent body to change its decision in any way,” deputy prime minister Richard Brabec said. The Czech secret service BIS has repeatedly pointed out Chinese influence in the Czech Republic since 2013. BIS Director Michal Koudelka said in November 2018 to the Czech Parliament that China “is interested in military-technological information and is trying to influence the Czech political scene,” reported DenikN. Koudelka has been running the BIS Counterintelligence Division for ten years. Meanwhile, Czech President Milos Zeman, who has openly courted Chinese investment and closer relations with the Chinese regime, criticized the China concerns made by BIS and NÚKIB during a Czech television program that aired on Jan. 10. He noted that drawing China’s ire would prompt retaliatory action that could harm Czech companies. Meanwhile, the Czech prime minister and other cabinet ministers reacted in support of the BIS and NÚKIB. For his criticisms of the Czech government agencies’ work, President Zeman has received broad criticism from Czech society. Sinologist from the Czech Academy of Sciences Ondřej Klimeš said that the president has become a spokesman for the Chinese regime, who does not advocate the interests of the Czech Republic, in a Jan. 14 interview for Czech Television. The Prague-based think tank Association for International Affairs published an analysis in June 2018, showing that President Zeman has the greatest influence on creating positive media discourse about China in Czech media. A previous version of this article misidentified the institution affiliation of Ondřej Klimeš. The Epoch Times regrets the error.